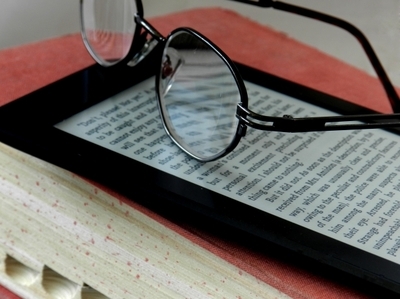 Do you own a Kindle or any other form of electronic reader? What would you consider to be the benefit of owning one of these devices over print books? I have a Kindle. I love print books but I like my Kindle too. It's good for comics because I always found single issues of comics a pain to store (too bulky and dusty), this way I can get the latest issue instantly but I don't have then sitting around to gather dust and have to pack in a million boxes when I move. It's also great for reading advanced reader copies of books to review. It's much cheaper for publishers to give out free ebooks than post physical copies so they can send them out further afield and to more people. I forgot to add that it's also useful if you don't want other people to see what you're reading. I own a Kindle. When I first got it, I thought it was great because I was able to download loads of free books that I would never bother reading/buying otherwise. It saves a lot of space and money. Since then, however, I rarely use it, because I'm not actually that keen on all the books I downloaded, and the stories I do like, I'd rather have a physical copy of anyway. If nothing else, it is great for travel. If I was going overseas for a few weeks, it meant probably 20 hours of travel time each way that needed to be filled, and certainly some downtime while I was there. I read relatively quickly so it meant I would probably be traveling with nearly a dozen books. With a e-reader, as long as I have power I could be entertained with a fraction of the weight/space, even with chargers and adapters. Plus, having access to an English bookstore with any selection was often iffy if I needed to restock, whereas with an open wifi network, I could download and restock as needed much easier. I bought my first Kindle this year and I am so happy with it. I always thought that I would never move away from physical books, but this year, I decided to branch out and give it a go. It was the best decision I made and the best money spent. I take my Kindle with me everywhere and my reading has been a true pleasure thanks to this device. The e-book revolution is changing the landscape for both authors and readers in a positive way. There has been an explosion of books on the e-platforms which is a good and bad thing. It does mean that some of the books out on the e-platforms are not professionally edited nor ready for publication and as a reader you do not necessarily know this at the time of purchase. However, there are some absolute gem stories that are now available because of self-publishing. It is a great time to be an author and an even better time to be a reader. There is something about a physical book that could never be replaced by a Kindle or ereader. Having said that, speaking as a writer who has published on Kindle, it opens up opportunities for writers and gives readers a chance to discover some lesser known authors. I also think they're great for travel, so are worth the money. And, well, I'm a 'need to do it now' type person so love that a book is there almost instantly after I've purchased it. Getting books in the mail is great, but usually once I've found one I want to read it right them and there. I will however continue to purchase books. I have a Kindle but I rarely use it, as I prefer to have a hardcopy book in my hands. The only times I've really used it a lot have been when travelling- so much easier and lighter than carrying around several books with me!